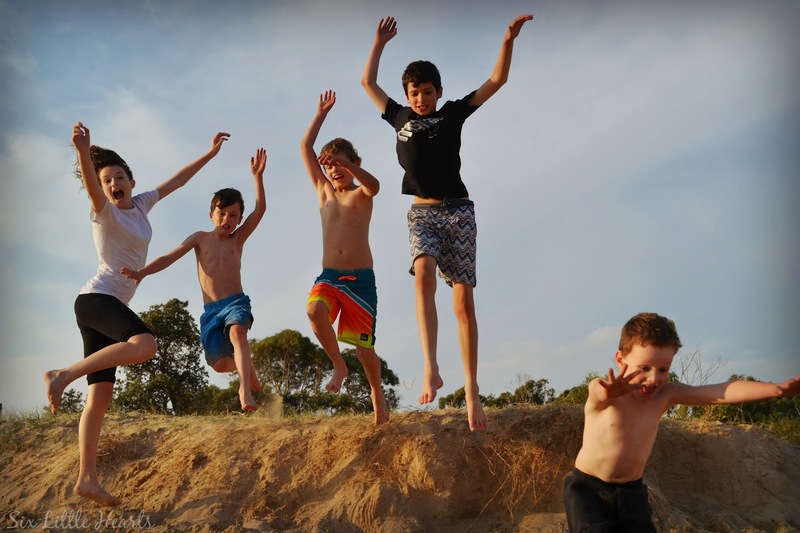 The Easter holiday long weekend - how wonderful is that four day break, perfectly placed at the beginning of Autumn when the weather is still brilliant and tucked neatly into the school holidays? So needed and so appreciated! For me, it was time to switch off the computer, put down the mobile phone and back away from blogging for a brief but precious few days. 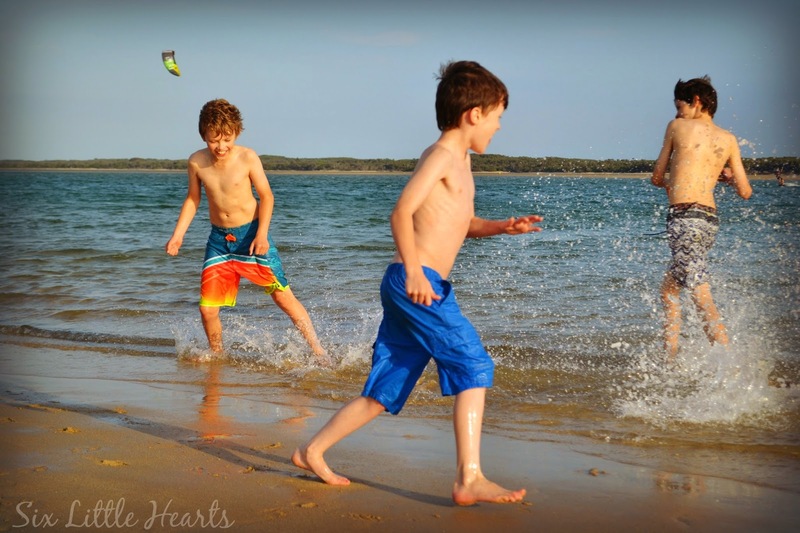 This Easter, we packed up and headed to our favourite Victorian holiday destination - Inverloch. 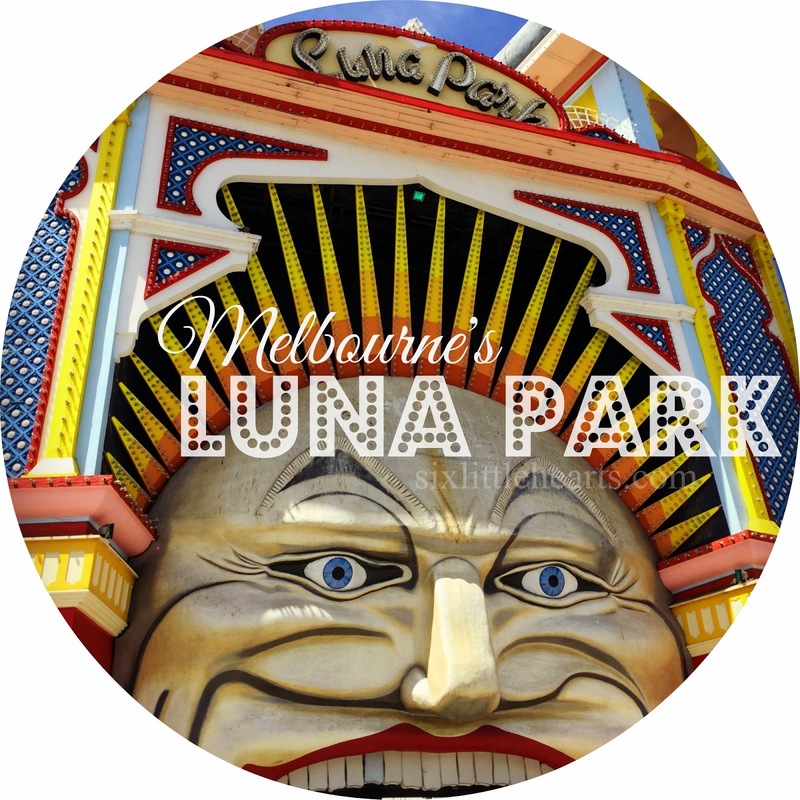 (I have blogged our love affair with Melbourne's seaside playground here before.) 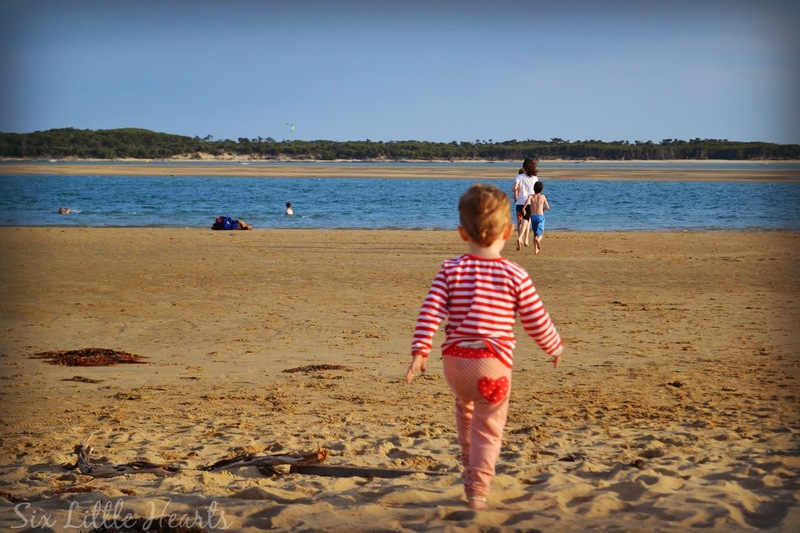 Inverloch is close enough to make a decent day trip so if you've never been before, make sure you do sometime. You won't be disappointed. 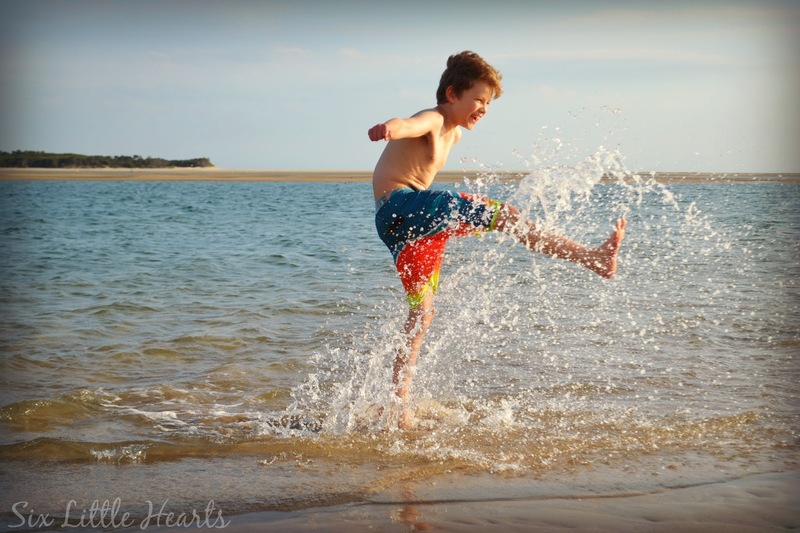 It was absolutely perfect weather for Autumn with surprisingly warm sea breezes and even warmer sunshine which meant our long weekend was spent wearing shorts and for the kids, it also meant swimming at the beach. It was our last opportunity to do so for around six months and enjoy the freedom of all that space and perfect weather. 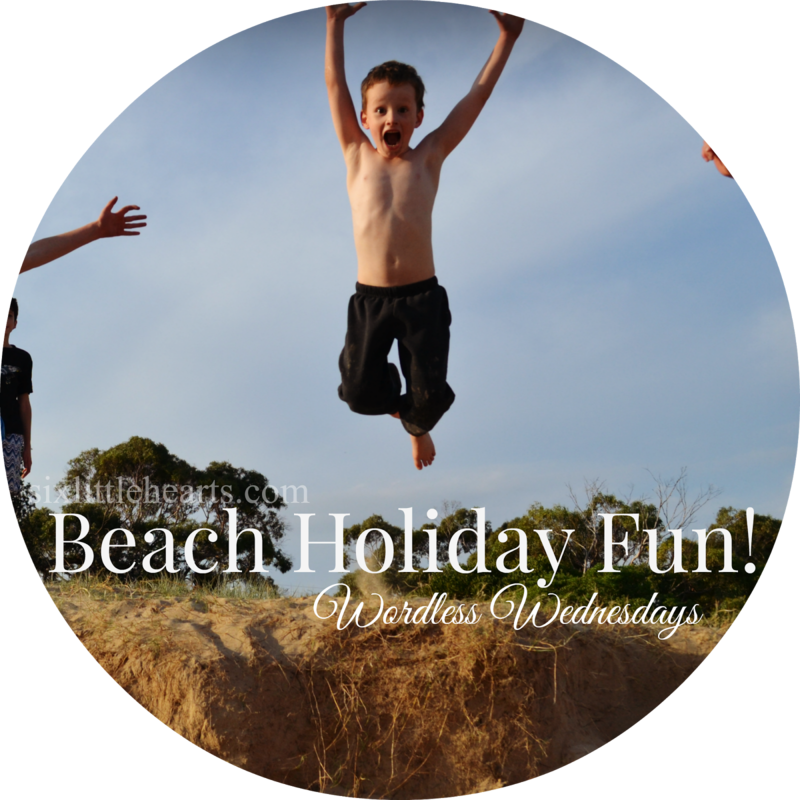 And just how much do beaches and kids go together?! Never at the beach though. Here they all seem to magically just get along - it's pure Brady Bunch heaven. 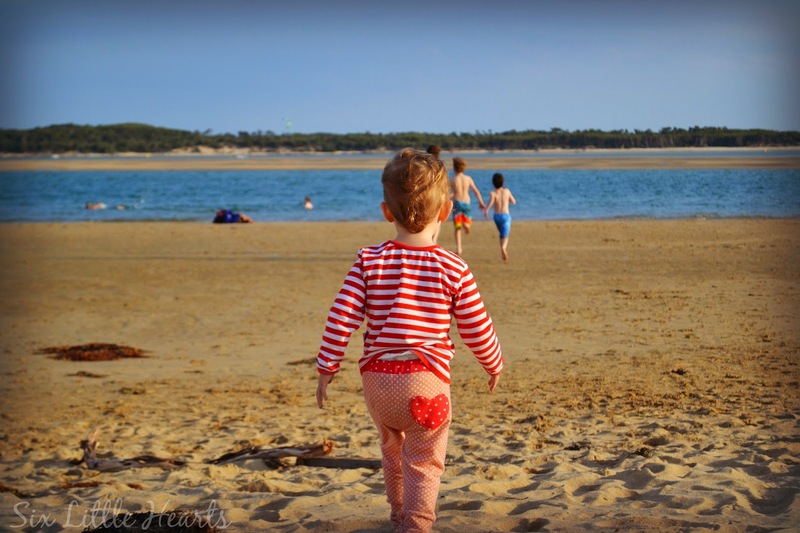 These holidays marked the first time our toddler Daughter could almost keep up with the bigger kids. 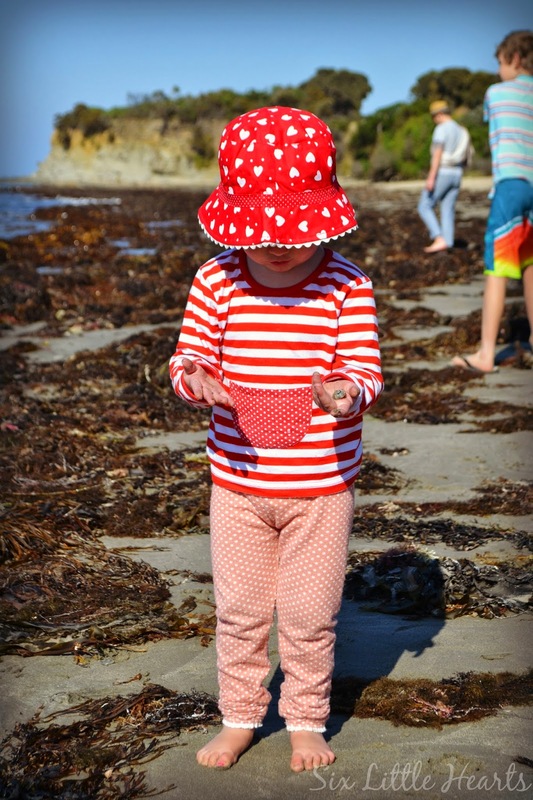 Celeste was thrilled by the excitement of all that sand, the shells and the water and was happy to run around finding treasures for herself quite independently of me. 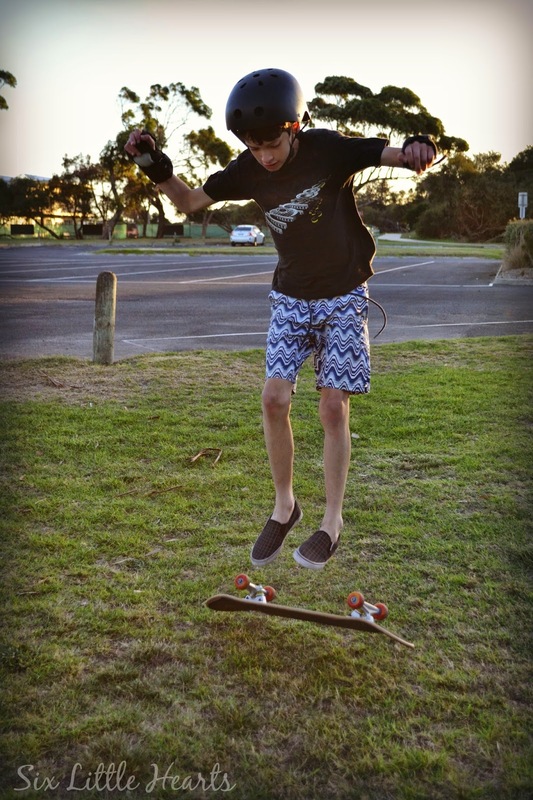 There was lots of walking on our beach holiday and the wide path that followed the coastline was perfect for the boys to practise their skateboarding skills. 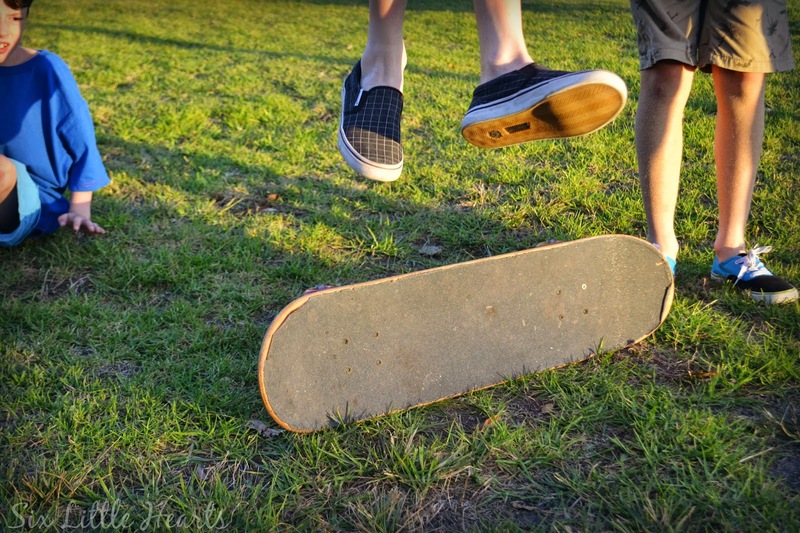 Admittedly, until now, I did not know my boys even had skateboarding skills! 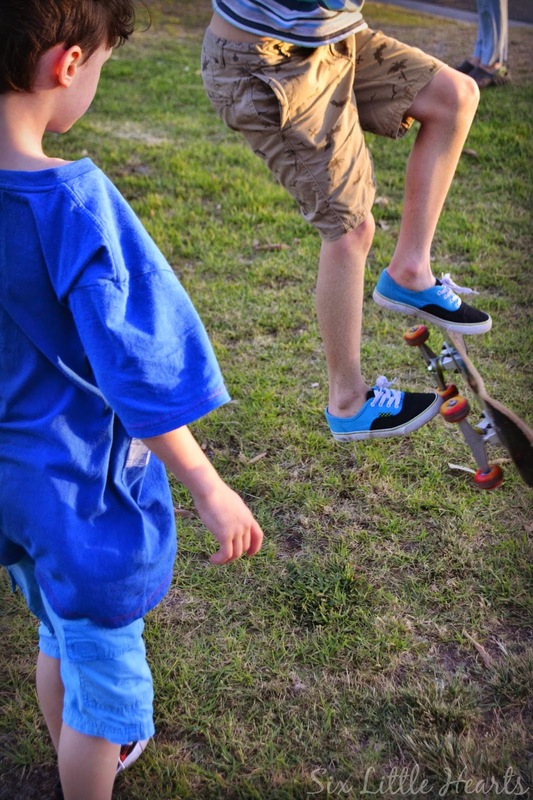 Somehow, my boys, who spend endless hours playing video games, (one of which is a skateboarding game), have become impressive skaters! I am not sure how or where they developed their abilities, but I was fascinated to see them performing tricks almost effortlessly! The younger first-timers caught on to 'flipping' a skateboard just by watching their eldest Brother and who knows where he learnt! We're home again now, (big, sad face) and it's raining steadily as I write this post, but I think these photographic memories will keep us happy and warm throughout the long, cold months ahead. How was your Easter break? 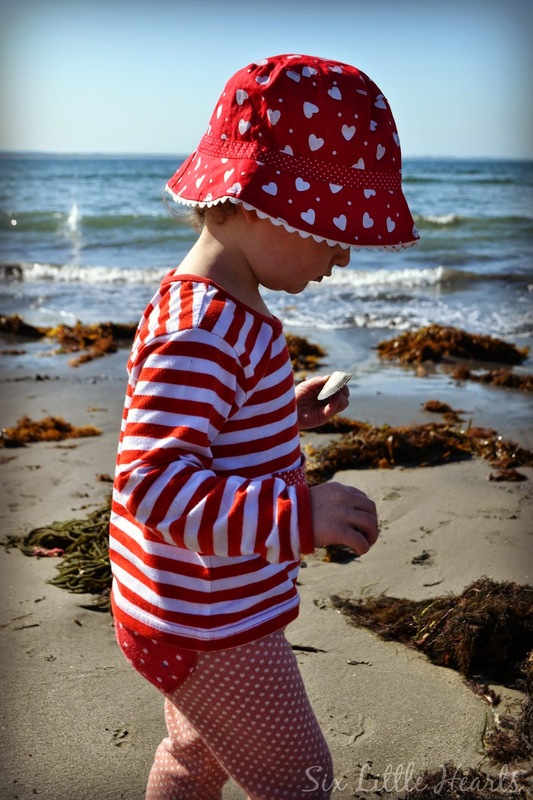 Do your kids give you a parenting break too, when you visit the beach? I loved Williamsburg! I went there about 18 years ago and I still think about it now. So beautiful! Yes, it's very healthy to switch off sometimes and just spend time with the family instead of sitting at the PC with my back to them! That looks like so much fun! I love the action shots! We live so far from the beach. I'm jealous. We live pretty far away too but I can still get there. I don't think I would be happy if I could not get there without flying or several days drive. Hope you get to one soon? What gorgeous photos and great memories. 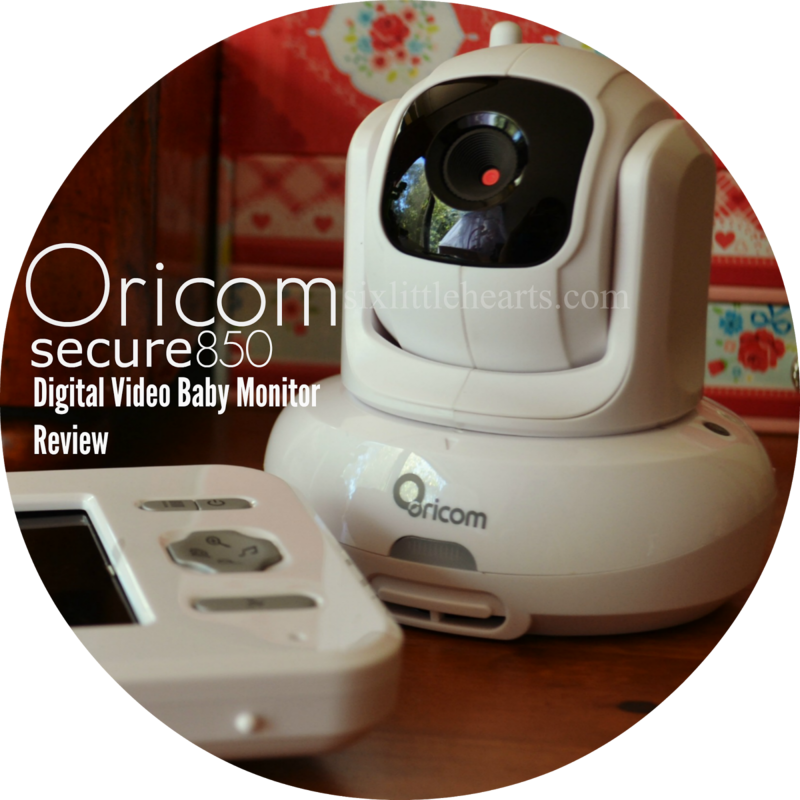 Yes, she's growing and branching out which means a bit more Mumma freedom time now - just! They're having such fun that it's infectious! And the best part was, they could make as much noise and mess as they wished and it just didn't matter. Beats the sofa at home any day. 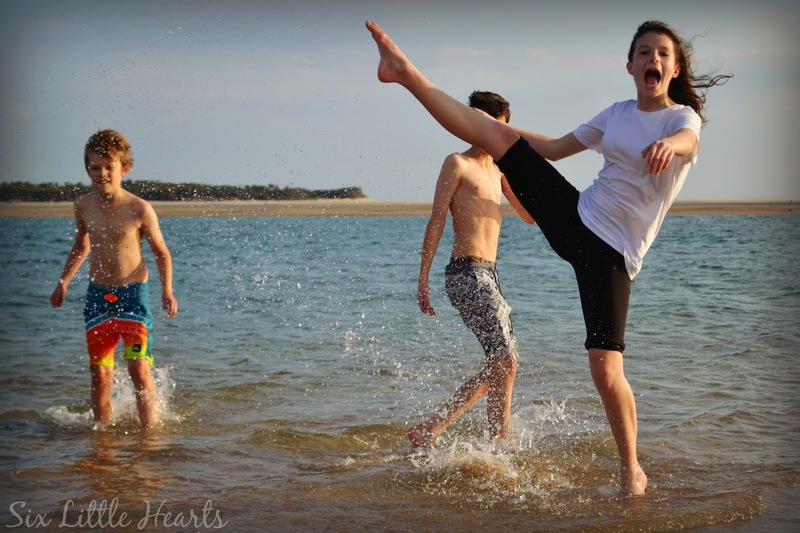 Brilliant action shots. It does look like a wonderful holiday! Nice shots !! excellent fun and joy on the beach !! That looks great! You guys had a lot of fun, I can tell! Everything seems to be better at the beach! So glad you had a great easter weekend. 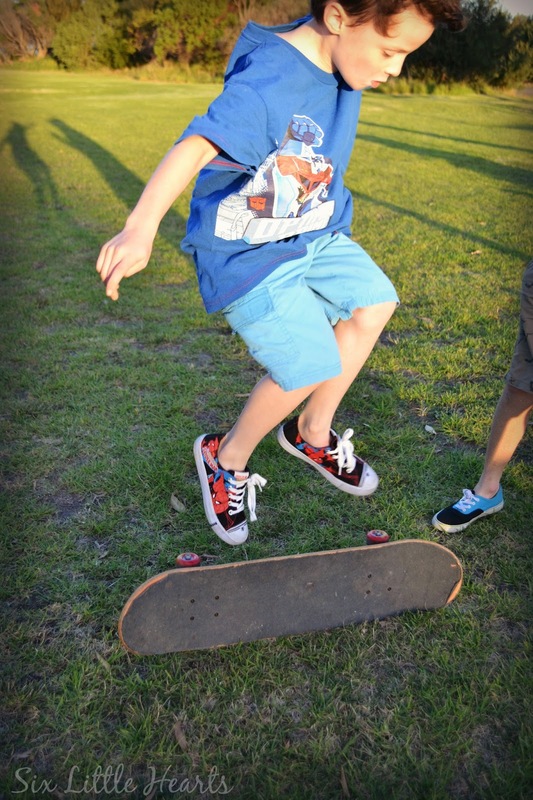 My son used to play bike and skateboard games, he was into doing all the tricks too. I didn't realise fully until I saw his picture in a council publication, at the skatepark doing a mad trick on his bike! 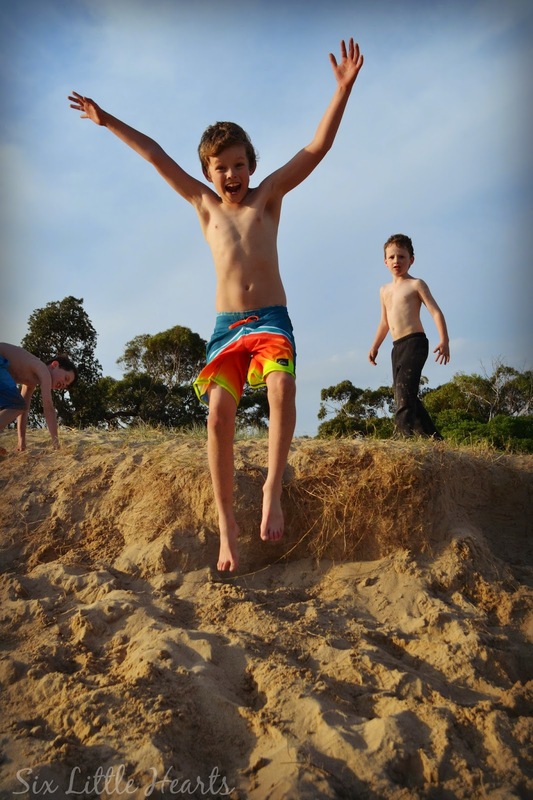 That's what I love about Inverloch. There's so much space and every section of the long beach is different: Rockpools, surf / swimming beach, sports beach sections etc. It's just beautiful. Bumping in to people outside of the swimming area is few and far between. Beach hlidays are the best. Great pics and memories made here,. Such fantastic photos. 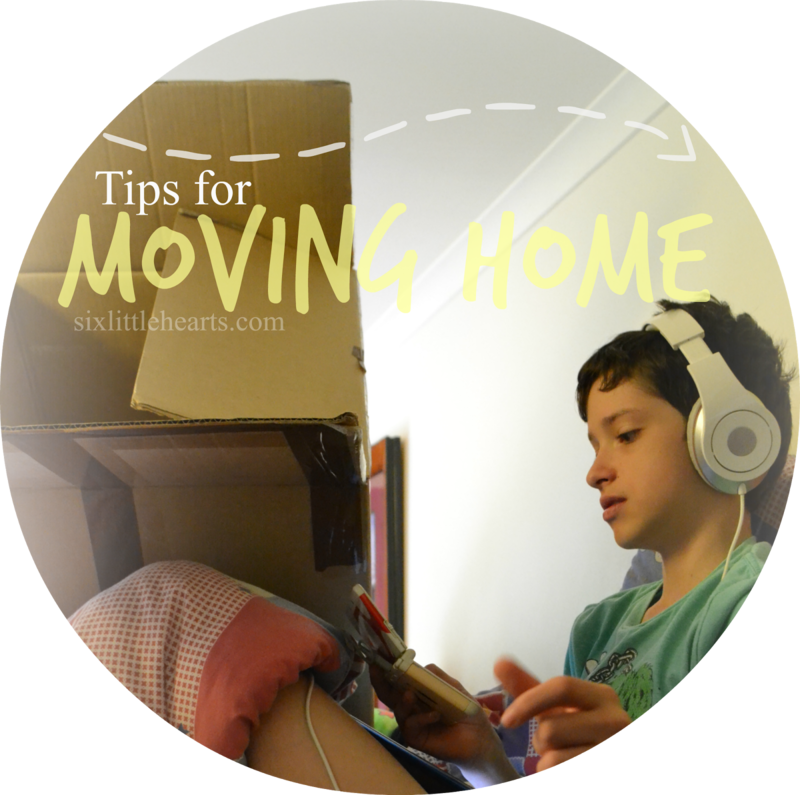 They will become beautiful reminders of fantastic family holidays for years to come. I love Inverloch. I have only been briefly once but I am so keen to return for a proper break. Looks like an amazing time was had by all. A beautiful spot!